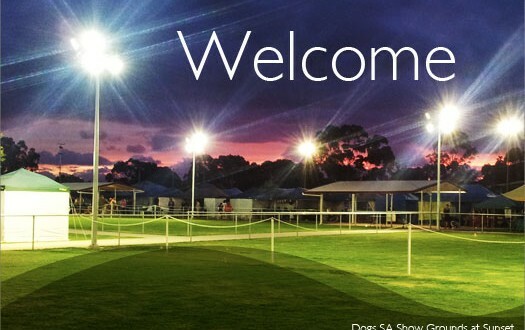 The SA Canine Association Inc (SACA), Trading as Dogs SA, is the State Office in respect to the affairs of registered breeders, the registration of pedigree dogs and the administration of canine exhibitions in South Australia. The Association is affiliated with the National Body, the Australian National Kennel Council (ANKC). The SA Canine Association Inc commenced in 1952, taking over the affairs of the SA Kennel Association which had existed since 1914. Before 1914 there were several dog clubs, the oldest being the SA Poultry & Kennel Club founded in the late 1800’s and still active today. In 1951 the Royal A & H Society agreed to assume control of the SA Kennel Club and the name was changed to the SA Canine Association Inc. The Director of the RAHS became the SACA Secretary and the Royal provide use of an office at the Wayville Showgrounds. In 1983 the SACA purchased an office in Thebarton to manage it’s affairs and from there purchased 17 acres of land at Kilburn which is known as ‘David Roche Park’. The Association commenced trading as Dogs SA in 2008. There are 95 affiliated Kennel, Group, Breed and Trials Clubs affiliated with Dogs SA which conduct shows and trials most weekends.